The International Study and Resource Centre in part provides accommodation for visitors from Asian universities with which Clare Hall has partnerships. 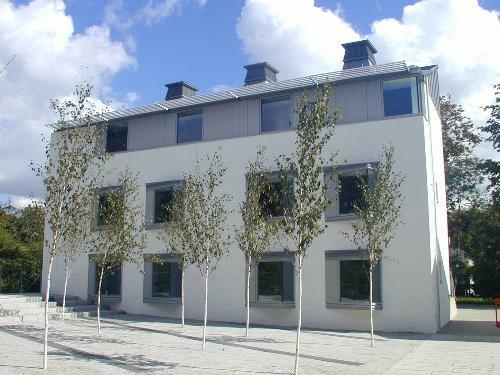 The building creates a second courtyard on the West Court site, and this, the courtyard side, keeps in with the white style of the other buildings on the site. The other side is more adventurous.